During the 19th century gardens and parks became more popular resulting in the creation of furniture especially suitable for outdoor use. Today the REBECCA collection shows the spirit of this era. 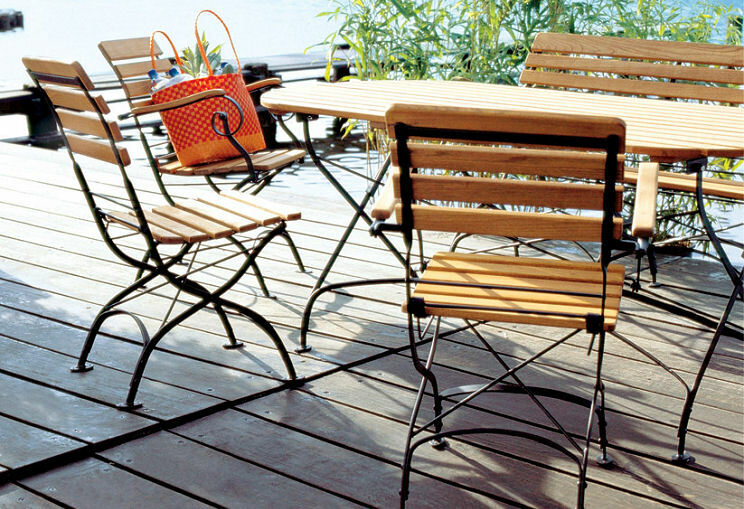 This stylish set is perfect for sidewalk cafĂŠs, residential balconies, patios and breakfast nooks. The metal black frames are elegant, well composed with warm colour of solid robinia wood. All items are foldable.